The legal team for the Office of the Director of Corporate Enforcement began making it’s application to the High Court for inspectors to be appointed to Independent News and Media. It’s understood Brian Murray SC, for the ODCE, will continue making his submission tomorrow morning. 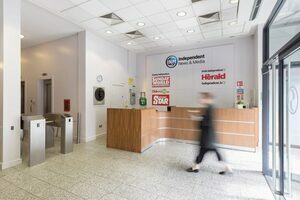 It follows claims in April that computer specialists which monitored the networks of INM, without the knowledge of the company’s board, were paid by a Denis O’Brien-owned company, according to claims in an affidavit filed in the High Court by the ODCE. 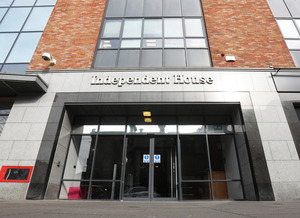 The ODCE said it uncovered emails containing a list of names which were to be searched for in the ‘data interrogation’. Approximately €60,000 was paid by Blaydon Limited, an Isle of Man company owned by Mr O’Brien, to Trusted Data Solutions (TDS), an American company based in Wales, according to Ian Drennan, of the ODCE. 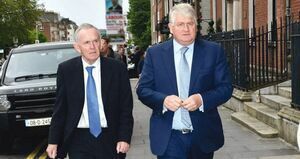 Former INM chairman and O’Brien associate Leslie Buckley told the ODCE that he gave TDS access to the INM networks as part of a “cost-reduction exercise” so he could “find out more detail about the awarding by INM of a professional services contract”. “Mr Murray [Brian Murray SC, for the ODCE] told High Court President Mr Justice Peter Kelly that the board of INM had believed Mr Buckley’s explanation that the data interrogation related to a “cost reduction exercise” concerning a contract with INM’s then solicitors. “But he said the board was now saying that if what the Director of Corporate Enforcement is alleging is true, then the board was misled by Mr Buckley about the circumstances and purpose of the interrogation. 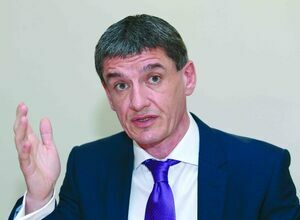 “Mr Murray said the board of a public company was now declaring that it was “hoodwinked” or lied to by its chairman in relation to matters of critical importance to its business. “He asked how that could stand without some form of investigation. And if the board had been hoodwinked about this issue, the question of what else it had been hoodwinked about, became critical. “Mr Murray said it was concerning that INM was claiming the issues were a small number of historic events which were individual and isolated. Posted in Misc and tagged application, High Court, INM, ODCE at 2:49 pm on July 10, 2018 by Bodger. Like brass necks, thin skins, and golf club jowls, I presume. Rotton to the core. Its a common feature of everyday business in this state. Disgusting. Can someone summarize this in easier terms? Hi Ron,its sub judice (before the courts) so detailed commentary is probably not advised for now. In essence Leslie Buckley is suffering from that unique Irish disease of ‘memory loss’ after his possibly/hopefully criminally negligent Chairmanship of INM was finally exposed. On a brighter note for Les-YOU guys continue to lavishly fund his vanity charity Haven,Les despite incompetence (criminally negligent ?) on a legendary scale as Chairman at INM,continues shamelessly as Chairman,his wife Carmel qulle surprise also sits on this state funded charity board .Her qualifications for this role are and I kid you not are listed as a fondness for travel…..
You mean simplify it , so that stupid people like you can understand?